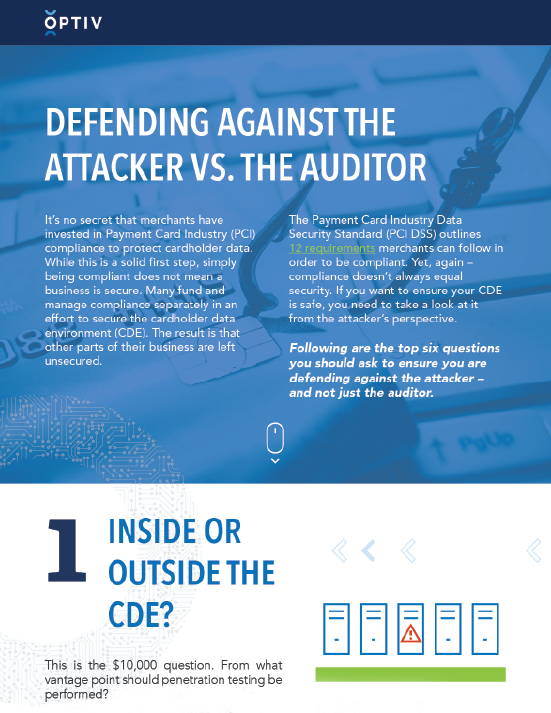 It’s no secret that merchants have invested in Payment Card Industry (PCI) compliance to protect cardholder data. While this is a solid first step, simply being compliant does not mean a business is secure. Merchants need to think beyond the obligatory requirements and evolve to securing the entire payment process. But how? If you want to ensure your cardholder data environment (CDE) is safe, you need to take a look at it from the attacker’s perspective. This e-book delves into the top six questions you should ask to ensure you are defending against the attacker – and not just the auditor.